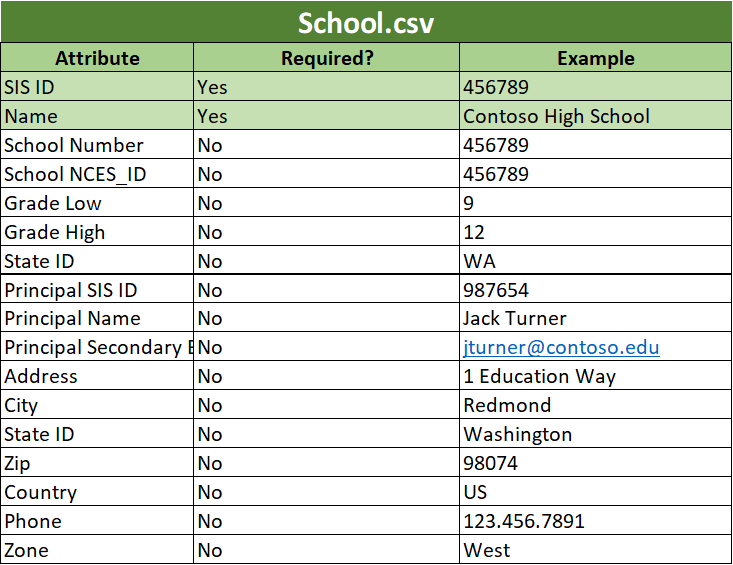 You can use CSV (comma separated value) files in the SDS format to synchronize your School Information System (SIS) with Office 365. 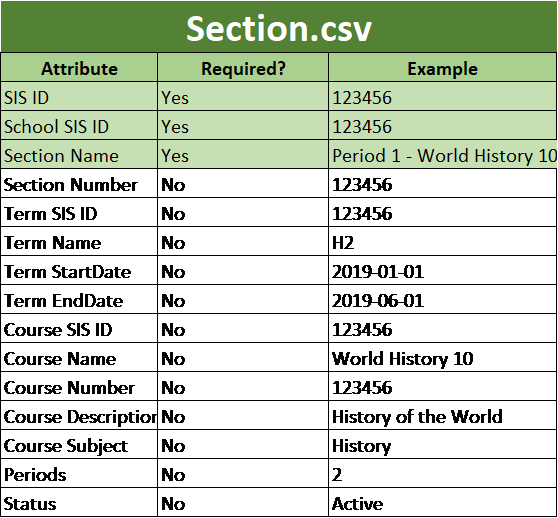 When using SDS format CSV Files for School Data Sync, the files must be appropriately formatted. 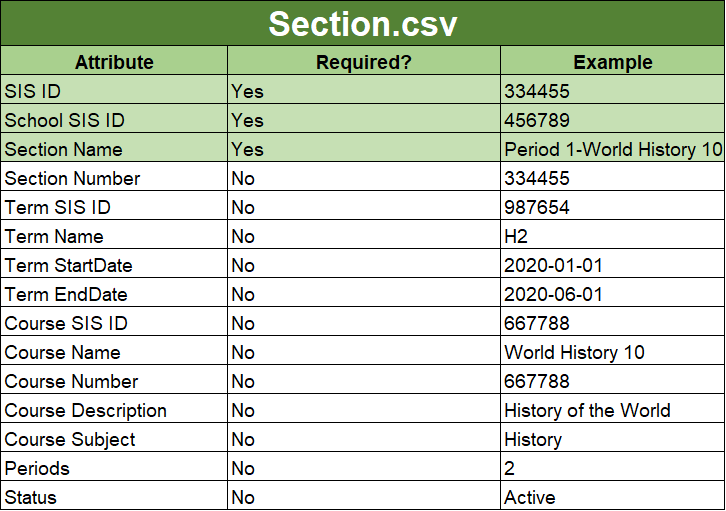 This section describes the formatting requirements for use with SDS.The only absolutely required fields are highlighted in green below. This also ties over to the example information on our CSV File Samples page. You must have the following 6 CSV files named exactly as detailed below. 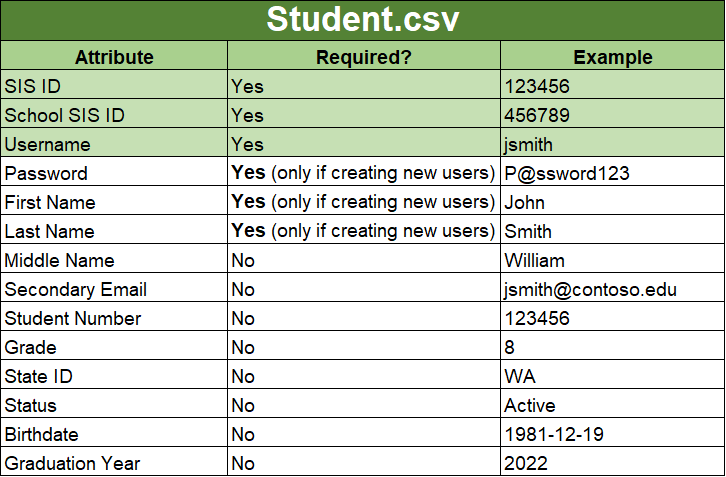 To review and download sample set of CSV files in the SDS format, see the SDS GitHub Repository.